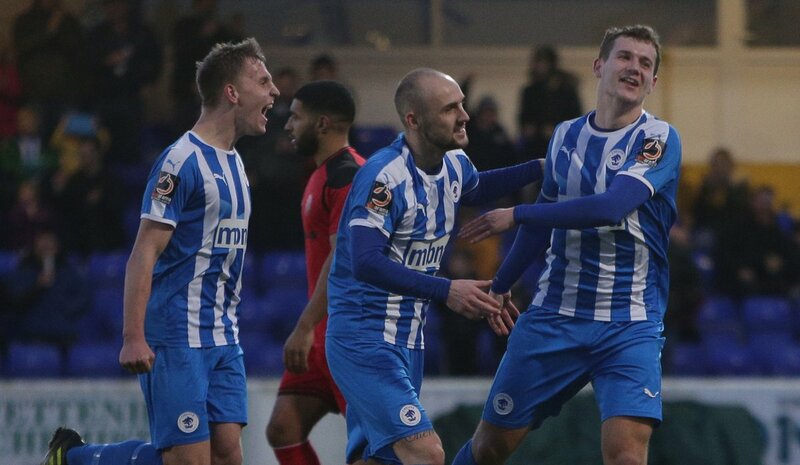 Chester FC got back to winning ways just before Christmas, coming from a goal behind to secure a two-one win against AFC Telford. Amari Morgan-Smith put Telford ahead before goals from Akwasi Asante and Anthony Dudley secured the three points for the Blues. The Blues made two changes to the side that drew one-all away at Stockport a fortnight earlier as Jon Moran and Cain Noble came in for the injured Danny Livesey and Gary Roberts, who was a late withdrawal through illness. 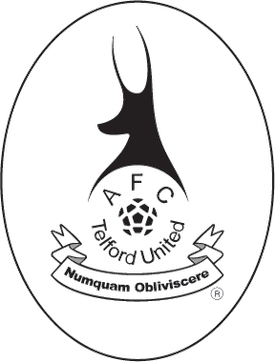 It was the hosts who started brightly, enjoying long spells of possession and looking dangerous in the Telford half and had the ball in the back of the net inside the opening ten minutes as Akwasi Asante flicked a header from Dawson’s free kick beyond Wycherley, but the offside flag was raised. The Blues had another chance shortly after as Anthony Dudley headed the ball just the wrong side of the post and another good chance following that as Asante had space in the box but Wycherley made a good save with his feet. Telford were looking to get forward when they could though and took the lead as Amari Morgan-Smith fired home following a Telford free kick played into the Blues penalty area. The Blues, inspired by the positive fan response from going a goal down, responded quickly as academy product, Matthew Thomson’s ball forward was flicked on by Dudley and Akwasi Asante broke the offside trap and finished beyond Andrew Wycherley in the Telford goal for his fifth goal in three games in a Chester shirt. Both sides created chances following the goals, McQuilkin firing wide after Shenton had come out to clear a cross, and Noble firing just over from thirty yards. Akwasi Asante again caused huge problems for the opposition defence as he got into the Telford penalty area, turned and left Streete on his backside before firing into the side netting. Chester were well on top heading into the break and had a chance to take the lead when Henry Cowans gave the ball straight to Mahon, the Irishman burst to the edge of the penalty area but fired his effort wide of the post. Telford started the second half brightly, working the ball around the Chester penalty area without creating chances but came undone in the fifty-first minute as Anthony Dudley saw his initial effort blocked, before rifling in the rebound from the edge of the penalty area to give the Blues a two-one lead. The Bucks thought they’d grabbed an equaliser four minutes later as Daniel Udoh converted after a spill from Grant Shenton, but the referee awarded a free kick for an infringement on the Blues ‘keeper. Chester still looked strong going forward, and when Craig Mahon got in down the left, he cut it back to Dan Mooney but the substitute couldn’t hit the target. The game changed with twenty minutes to go as Telford captain Shane Sutton was given his marching orders. The ball was played forward and Anthony Dudley beat Sutton to it, who then hauled the Blues forward down, and as he was the last man, referee Sam Barrott had no choice but to give him a straight red card. Having the man advantage allowed the Blues to stem the visitors pressure and hold out for a big win. Chester: Shenton, Moran, Thomson, Roberts (c), Grand, Howson, Dawson (Jackson 73), Stopforth, Asante (Mooney 57), Dudley, Mahon (Smalley 90+3). Telford: Wycherley, White, Morley, Deeney, Sutton (c), Streete, Cowans (Barnett 62), McQuilkin (Brown 88), Morgan-Smith (Knights 77), Udoh, Daniels. Goal Scorers: Chester: Asante (25), Dudley (51). Telford: Morgan-Smith (19). 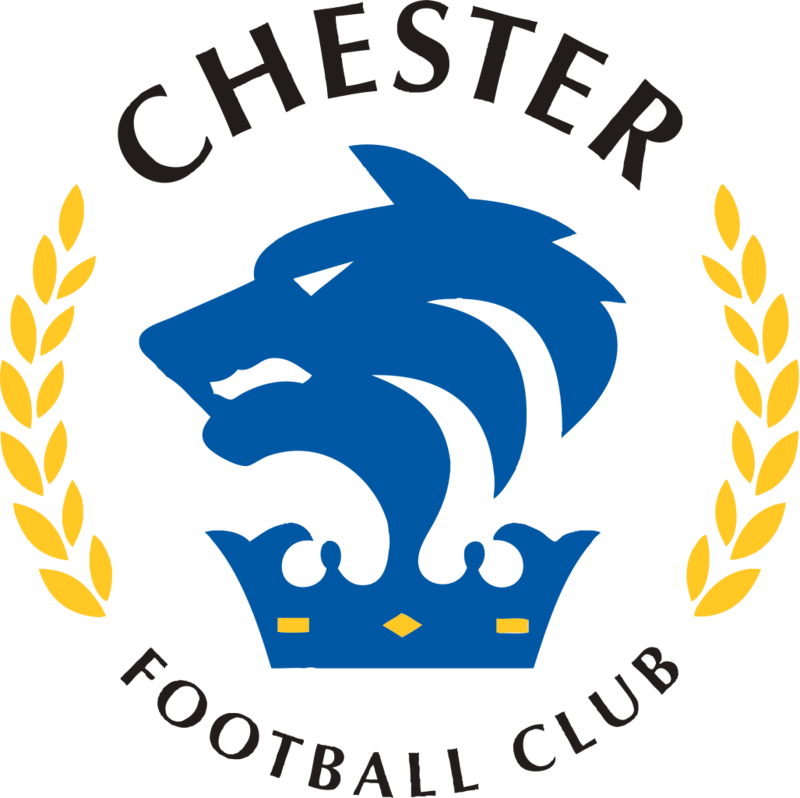 Yellow Cards: Chester: Dawson, Moran. Man of the Match: Simon Grand. Assistant Referees: Gareth Myers & Lewis Dawson.